Reading is integral to research. Everyone says that, and it’s true. It’s also true that you need to find ways to read, note and keep track of all that reading. This is in part a question of tools and strategies. But tools and strategies are necessary but not sufficient. You need to make sense of your reading. This is not just so that you can write short reports for your supervisor and then a literature review. Making sense of the reading is about understanding scholarly conversations – what they are, who is involved, the debates, tensions, silences, assumptions and holes. Making sense of the reading is finding the pleasure in scholarship. One of the things that can help you in making sense of your reading is a reading journal. A reading journal is not so much a place to keep track of what you’ve read. It’s not a data base. Nor is it a place where you keep the key points that arise from each piece of reading. A reading journal is not a set of summaries. A reading journal is a place to keep track of what you are thinking about what you’ve read. It’s a place where you can write what that the readings have prompted or provoked. It’s a place to record questions that you may have about arguments or evidence. It’s a place to explore ideas, both sensible and off the wall. It’s a place to speculate about how the readings might come together. It’s a place to store possible ways to connect the reading to your research. It’s a place to record key quotations that resonate strongly with you. It’s a place where you can write about the things you don’t understand and the things you want to know more about. It’s a place to contain the curiosities, excitement, anxieties that the reading provokes. It’s a place to argue with the authors of the texts you’ve read. It’s place to see what you can add to the ideas already in the scholarly archive. A reading journal is about your responses. It’s a way of supporting you to develop response-ability. It’s an aide-memoire and a practice of reflection. A reading journal can be a digital document, or folder or written by hand in a carefully chosen notebook. Or whatever. No rules. No prescribed formats. What suits you. If your reading journal is digital, it can be hyperlinked to your references or reference library. But it doesn’t have to be. The reading journal is not about being efficient. It’s about thinking. 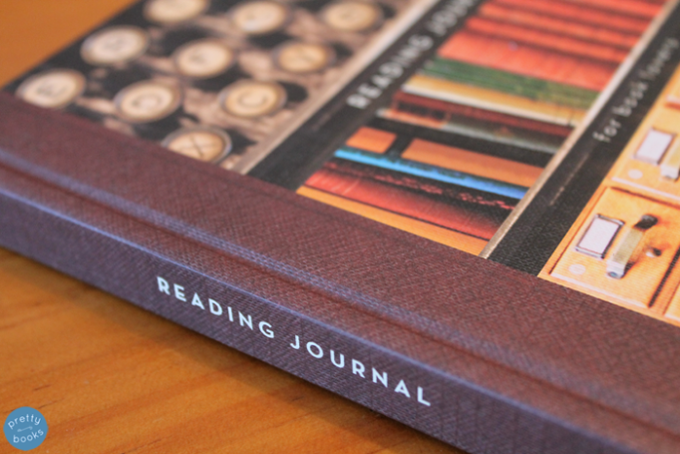 The reading journal might collect together highlighted notes that you make on some pieces. But it ain’t necessarily so – it’s not a database. I know I’ve said that already, but it’s important. A reading journal is an open text. Think of a reading journal as a writer’s resource book. As a place to experiment with interpreting ideas. As a place to develop your own writer’s voice. A place where you get to decide which and how other writers enter. A place that is not overrun by established researchers. A reading journal foregrounds your moments of engagement with scholarly thinking. A reading journal can be an important path for being and becoming researcher. Researchers are never the finished article – we are always learning. The PhD simply begins this process. And writing about, from and with our reading is a key to growing our scholarship and ourselves as scholar.